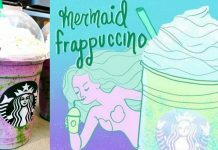 Home Crème Based Frappuccinos Starbucks Unicorn Frappuccino – Official Menu Item Coming April 19th! 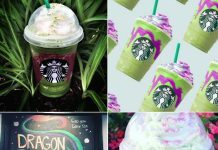 The Unicorn Frappuccino is the newest fad taking over hashtag Starbucks on social media and the internet! 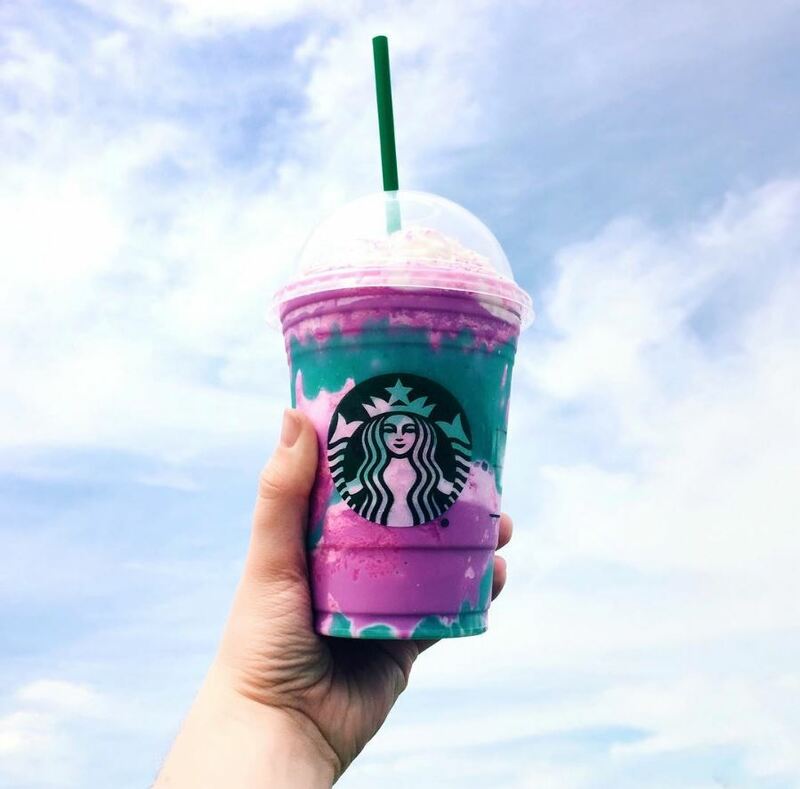 It’s being promoted as the flavor-changing Unicorn Frappuccino made only with the finest rainbows. 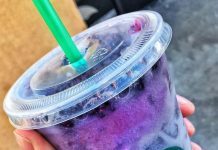 Upon first glance, it’s a VERY brightly colored purple blended beverage with blue syrup drizzle, topped with whipped cream and purple and blue sprinkles. 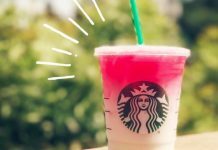 Reminiscent of cotton candy and definitely well named as the Unicorn Frappuccino. 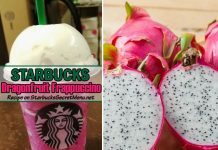 So if you’ve seen chatter about the drink on Instagram, Facebook, Twitter or Pinterest, we’re here to confirm that YES, it’s real! 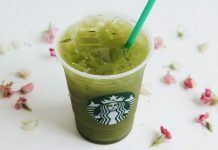 The official release date for the beverage is April 19th, though some of you lucky Starbucks insiders may have gotten a taste already and a few Starbucks locations have already started sampling. 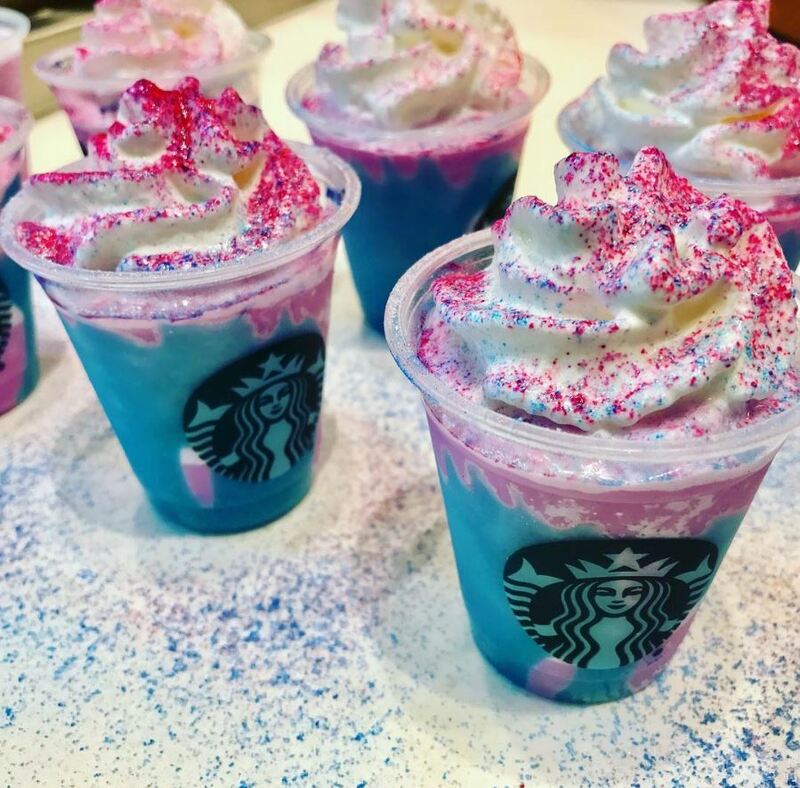 **The Unicorn Frappuccino has been released and will be available for five days! 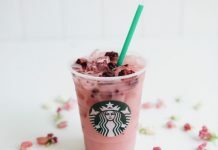 If you happen to visit a less frequented Starbucks, it may be available longer if the store has leftover ingredients from the promotional period. 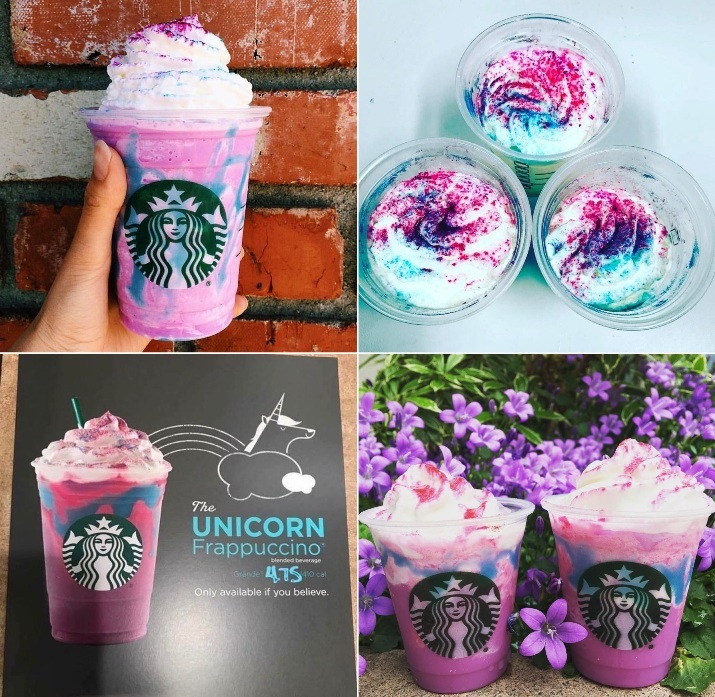 The Unicorn Frappuccino will be limited edition and because it uses special ingredients or if you wish to preserve the magic, “unicorn dust” (and warning not to read on to the recipe). While we official recipe has been kept rather hush hush, you know we love to share so here’s what we’ve been told goes into making magic. 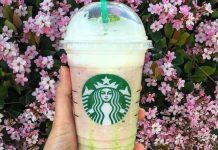 For those of you wondering about flavor, the Frappuccino is sweet and sour, but definitely more to the tangy side especially those sips with the blue drizzle. 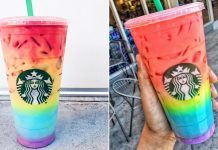 Think tropical rainbow skittles in drink form. 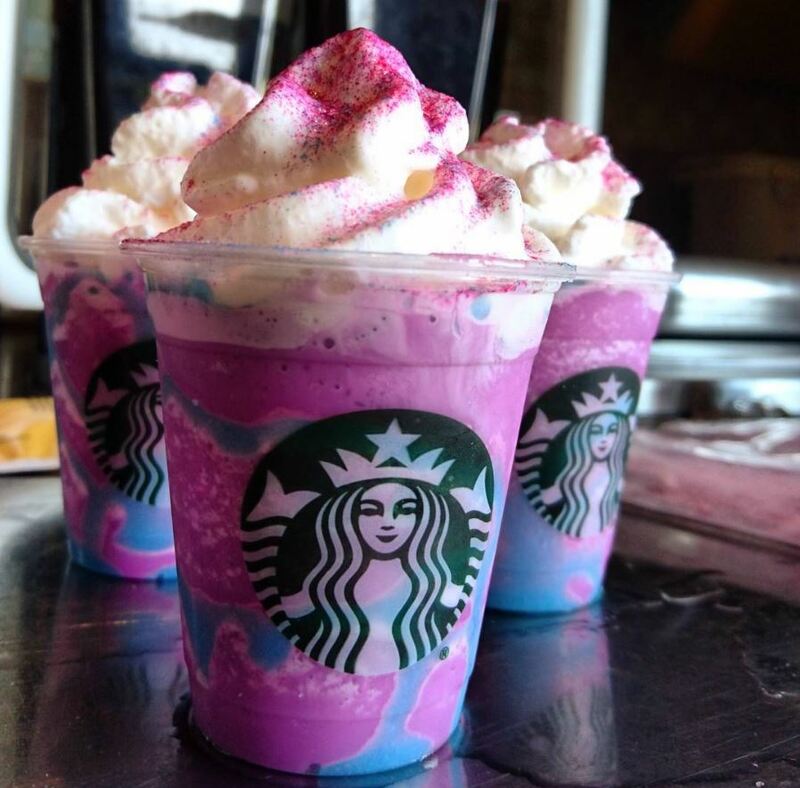 So now that you know, go forth and enjoy because this time, unicorns are definitely real…at Starbucks. Just look at those sprinkles! Perfection! The perfect rainbow colored accessory to a beautiful day.